With all of the sugar and carb-filled foods associated with the holidays, continuing to lose weight at the same pace will inevitably be more challenging. Setting New Year’s resolutions -- like maintaining the weight you've already lost -- can help you stay committed to your low carb lifestyle and avoid a feeling of failure. Having a few Atkins-friendly bars, treats, and snacks on hand to fight cravings can also help you stay committed. Studies have shown that people who keep food diaries during the holidays are better able to manage their weight. Keeping up with your food journal will also help you stick to your low carb holiday diet plan. Eat slowly, be mindful as you chew, and put your fork down between bites to better monitor your level of satiation. Finish when you're satisfied, but not stuffed. Remember, there is a difference between hunger and habit! In the hectic weeks between Halloween and New Year's Day, anticipating and planning ahead is critical to successfully living low carb. Keep the right food in the house, and make some great low carb snack recipes you can substitute for sugary seasonal offerings. And plan on indulging, too! If you really want to enjoy your favorite family dish at a party, setting certain foods as a priority ahead of time will make it easier to avoid mindlessly snacking on other carb-filled foods just because they’re there. Cut back on other carb-filled dishes throughout the day so you can really enjoy the carbs you’re choosing to eat but still staying within your desired carb count. The ultimate aim of holiday gatherings is to enjoy the company of your friends and family, so focus on socializing and sharing meaningful conversation rather than snacking. Standing at least an arm's reach away from platters of food can also prevent unintentional grazing. 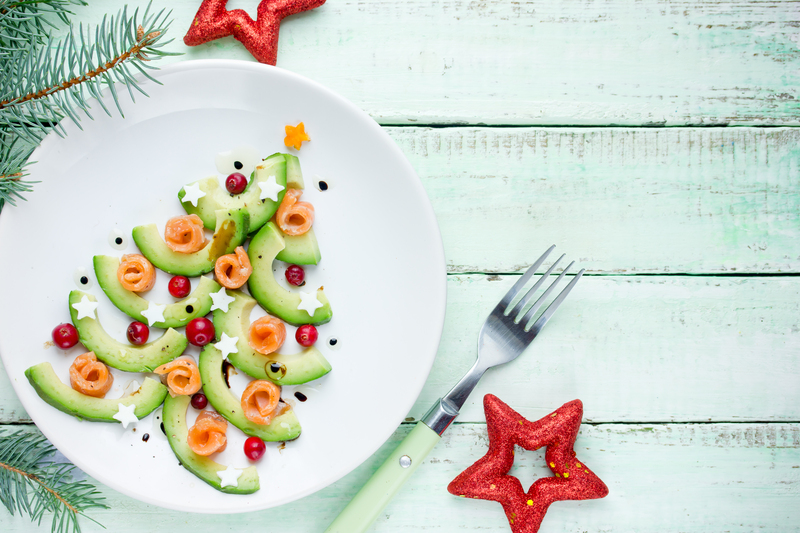 Holiday treats don't have to be high in carbohydrates, and bringing your own dish to a holiday party means you’ll be guaranteed at least one healthy option. Browse Atkins recipes to find simple, delicious, and low carb appetizers, entrees and desserts. Try this warm and tasty spicy crab dip recipe, a fresh caprese salad, or this easy peppermint ice cream (all guaranteed crowd pleasers!). Have a substantial, high-protein snack such as a handful of nuts or an Atkins bar, or even a meal to satisfy your appetite before you head to a holiday party. If you're already comfortably full on good-for-you food, you'll more easily avoid over-indulging on cookies, pies, and other temptations. Instead of sipping sugary holiday cocktails, have a low carb beer or glass of champagne in hand to celebrate without overdoing it. For more festive beverage ideas, check out our Atkins-approved drink recipes, like this easy mulled wine recipe. And don’t forget to hydrate! Drinking plenty of water promotes healthy digestion, prevents headaches, and keeps your body functioning at its best. It also fills you up, helping to prevent mindless eating. If you need a little variety, try infusing your water with cucumber or lemon slices. Whether it's roast turkey or a holiday ham, protein dishes keep you feeling full and generally contain fewer carbs. As for sides, choosing acorn squash, green beans, red cabbage, and other flavorful and nutrient-rich holiday sides will help you steer clear of the empty carbs found in some of the other popular holiday dishes. Here are four brussels sprout recipes that all fit the bill. If you’re hosting the big meal, send home leftovers as care packages with your guests. It will get excess food out of your house, and your friends and family will appreciate the delicious food for days to come. Staying active is a very important part of staying healthy during the holidays. If you’re already a regular exerciser, try to maintain your regimen. And if you don’t regularly hit the gym, now’s a great time to start! A simple 30-minute walk after dinner is an effortless way to squeeze in a few more steps and burn extra calories. Join the kids on a bike ride, walk an extra lap around mall while shopping for gifts, and take the stairs instead of an elevator for some other easy ways to get moving. Not only will you work off any additional treats you may have enjoyed, but exercise can be also be a great stress reliever. The holidays are more fun when you’re well-rested! Not getting enough sleep is associated with a host of negative health effects, including impaired cognitive ability—which may result in poor eating decisions. Try to go to bed at the same time every night and create a bedtime ritual to help you wind down. Check out some of our ideas on how to sleep better at night. If you commit to your usual healthy eating habits for most days of the week, you can slightly relax your diet some of the time without seriously impacting your weight. Give yourself some leeway to enjoy the holidays, and if you do overindulge, don't beat yourself up or view it as an excuse to continue overeating. Get back on track, and avoid feeling guilty. Aim for as much consistency with your diet as possible, but remember that no one is perfect! Reaching your weight loss goals is easier when you have the Atkins Community on your side. Chat and share ideas and recipes with other Atkins dieters, and connect with your friends and family members following Atkins for moral support and to hold each other accountable. It's never too early to think about what you want to accomplish in the coming year. Start thinking about your weight loss and fitness goals as well as things you want to accomplish in other areas of your life. Write these initial goals down, and work on fine-tuning them as the year draws to a close. If you’re feeling overwhelmed thinking about sticking to your fitness goals this holiday season, remember that Christmas and New Year's Eve are just one day each—not an entire season. Putting your low carb lifestyle on pause until after the holidays, will only make getting back into the swing of things that much more difficult. This year, remind yourself that there's no gift like good health.